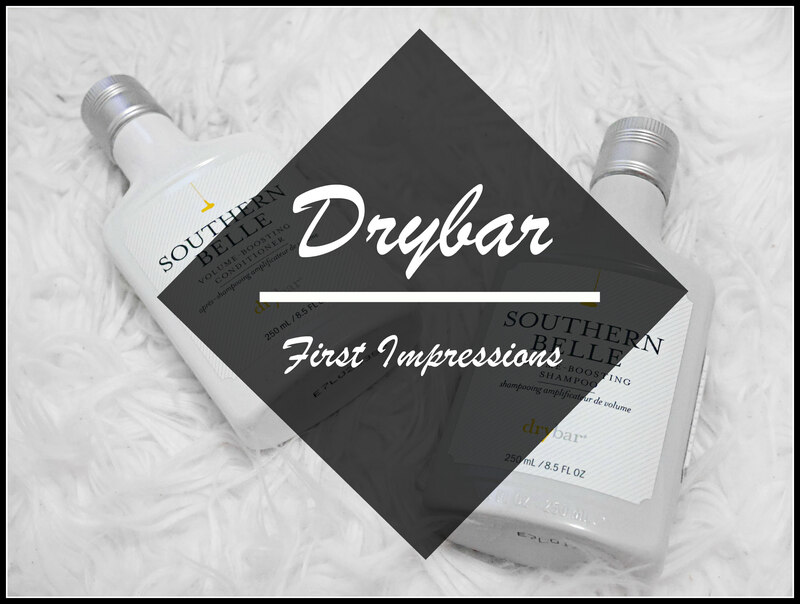 I decided to try out the Drybar Southern Belle Volume-Boosting shampoo & conditioner as I have been wanting a change. Picked it up at Sephora for $35AUD ($25USD) each which is like twice as much as I usually spend on my shampoo & conditioners but oh well. I decided to get the volume-boosting one because well I’ve got pretty fine hair so anything to make it look thick and full I’ve got to try it. I also got it without reading any kind of review or even hearing about this specific product before so I tried it out with no expectations or anything. -Biotin: Protects hair against dryness and supports hair fibre strength and elasticity, preventing breakage. The shampoo was pretty standard, though my hair felt a little bit rough? if that even makes sense, kind of like the shampoo dried out my hair but considering a lot of volumizing hair products give your hair that kind of texture I didn’t really mind. When I applied the conditioner I didn’t really know what to expect as I’ve never used a gel-like conditioner. As my hair is already pretty dry I need a conditioner that hydrates the hair which this conditioner says it does. When I applied it on my hair still had that rough kind of texture and did not feel hydrated at all but I thought I’d dry my hair & see how it would be like after. In terms of the smell, it is quite a strong perfumey scent but I would say it’s pretty bearable. It’s not the best or at least in my opinion but who knows everyone has their preference in scents so I would definitely say go smell it before you buy it. All in all, I would say that I would repurchase this product just because I have never used a shampoo that volumizes my hair as well as this product does. So after using and liking the shampoo & conditioner, I decided to go & try out another product by drybar and it is the Bay Breeze Thirsty Hair Quencher. These are 4 hydrating shots that leaves hair soft, shiny and detangled with long-lasting moisture and also has properties to help with scalp health. The shots come with a little spray pump thing you can attach. You spritz a whole bottle od the hydrating shot all over your hair and massage it in from your scalp to your ends. They are sold for $51AUD ($36USD) but I would say it’s worth it considering it really does help hydrate your hair and that is coming from someone who has insanely dry, over-processed, damaged hair. I’ve got fine mid-length hair and I think there was just enough in one bottle to really feel it in my hair so I’m not too sure how it would be like if you have thick long hair otherwise I highly recommend this product if you’re looking for something that really works to hydrate your hair. Sounds like a bundle of lovely products! I’ve been thinking about trying out some Drybar products for awhile now and this post convinced me to go ahead and purchase some! I especially loved this review as I also have super fine hair that needs volume.